I wanted to put some of my work on here so that all my "followers" (haha myself and my friend alana) can see what my art is all about. 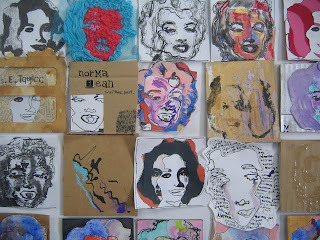 This particular body of work is all about marilyn monroe and elizabeth taylor. It was a mixed media assesment in 08, where we had to use different mediums such as wax, indian ink, watercolour, oils, charcol and use them all together. there were 49 squares in total. 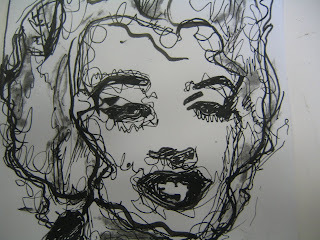 i love the monroe sketch - it is amazing! also i just found your blog and LOVE IT!